With Dreameater Tiny Room Records releases its last album of 2017. Garciaphone is Olivier Perez, a Frenchman from Spanish descend living in Clermont-Ferrand, a town surrounded by former vulcanos where, I've been told, it can get very cold at night. Even in summer. On Dreameater Perez keeps his music small. I am reminded often of another band I was introduced to by this label in 2017, Moon Moon Moon. Songs of such a delicate nature they may break from listening too hard to them. There is a main difference: Garciaphone has a clean sound the whole way through. Each instrument has its place and comes forward when its time and place is offered by the song. It is exactly this what I like so much about the first bunch of songs on Dreameater. From a basic melody small little lead lines escape from the mould casting a bright light on the shadows surrounding it. Whether a guitar or some form of keyboard, the effect is always the same. A gleam of happiness where none is expected or even supposed to be. Olivier Perez sings with the same subdued diction as Elliot Smith was so good at. His voice sort of slides over the music instead of leading or standing in front of it. Both leave these elements to the instruments in their respective best songs. This aspect provides Dreameater with an extremely familiar outlook and with aspects of extreme, though melancholy beauty. What is surprising in a way is Garciaphone reaching a manner of completeness in its music with such minimal effects. Despite the fact different instruments are involved there is a spaciousness in its music that leaves all the room I need to hide myself in the music. To become part of it. Hence I come to a second Dutch reference: Maggie Brown, the Amsterdam based band who finds all the right ways to infuse its pop with a longing reaching far beyond what I find in most acts. Just compare 'Our Time To Spare' with a song like 'Another Place'. You will find some pleasant similarities in both bands' approach. Dreameater is an album obliging people to listen. Those who do will find music of a very elementary nature with the sparsest of embellishments, none the less instantly pleasing. Without your undevoted attention nothing will come from your attempts. 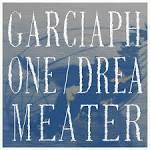 Spend the time Garciaphone describes and you will be aurally satisfied instantly. From sad dreampop to minimal folk and subdued pop, there's something here for all of you.